Jan Sitka – chant, guitare. Vocals, guitar. Songwriter for LOCA TANGATA, Jan tirelessly travels the globe with his guitar and butterfly net. At each escapade, he discovers a new language which inspires a new refrain. His music is difficult to classify as it jumps from the French chanson to Latin music, from folk-rock to Balkan music and from swing to reggae. He endorses the Maori motto that says: “In life, what matters above all is the people, the people, the people”. 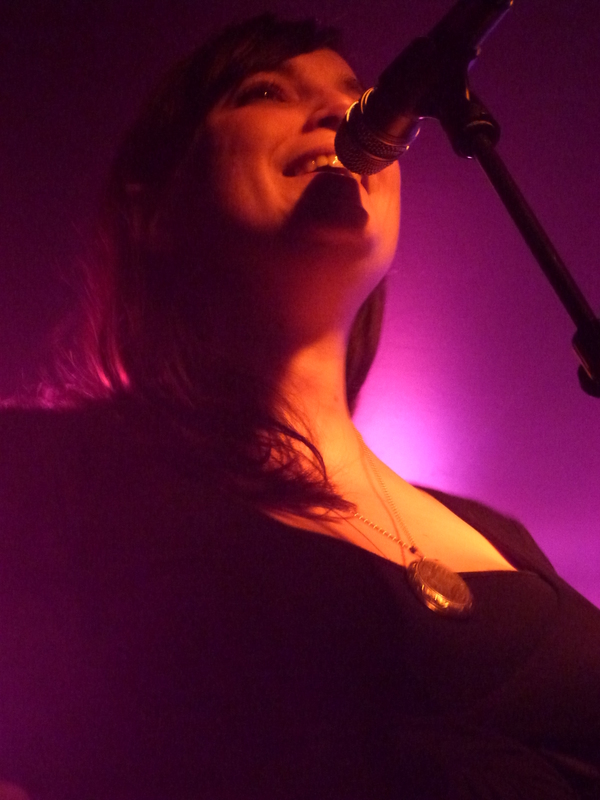 Clémence Avril – Vocals. Clemence is impregnated by moods and atmospheres. She drives her sensitivity and her pen between musical and spoken word projects. She knows how to give voice and the right word at the right time. Among her many talents, Clémence has a good stroke of a pen and she designed the LOCA TANGATA logo. Her personal musical project is in the making … to follow closely! Georges Borel – bass and double bass. Between seriousness and sense of groove Georges is one of the pillars of LOCA TANGATA. A rocker with a tender heart, he is able to master the different worlds of the project. He officiates also with Humph (rock), Laura et son Tâs d’Ames (rock cabaret) and Maz Plant Out (folk). Widad Abdessemed – violin. Classically trained Widad is comfortable in all styles of contemporary music. 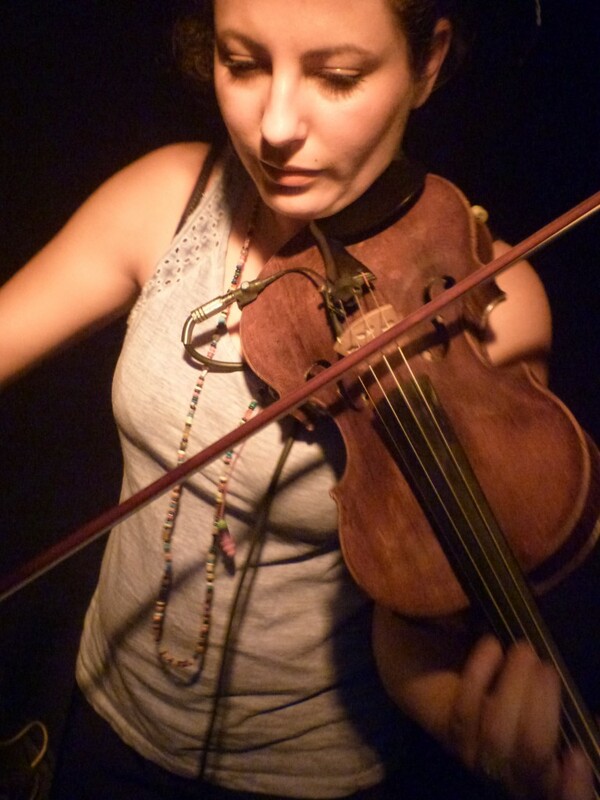 Trip-hop to jazz, world music to chanson, she has to her credit many collaborations as a violinist, singer and arranger with different band such as as Maz Plant Out (folk) and Well Quartet (string quartet). On stage, her contagious smile and her warmth reflect with grace her Algerian roots. 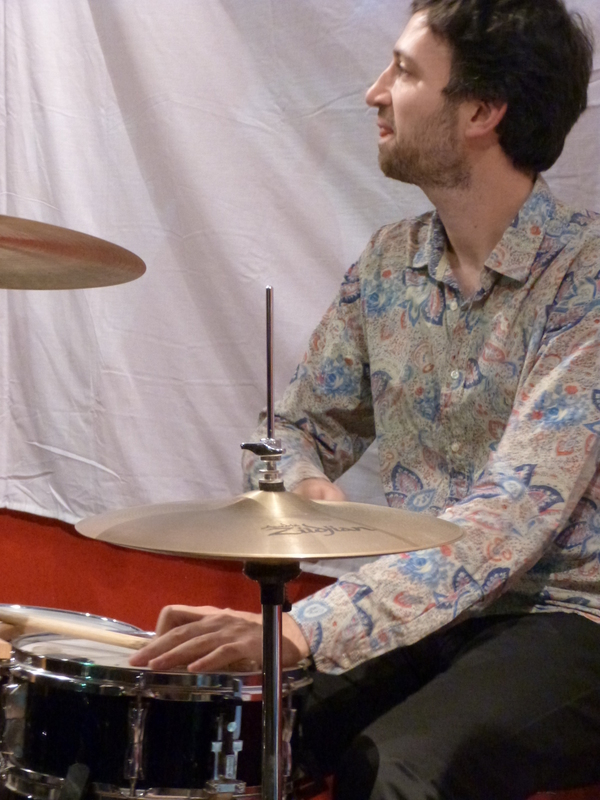 Alexandre Bayle – Drums. Outstanding drummer and inspired designer, Alex shares both talents with LOCA TANGATA. You should never rely on his stoic side and good education, he is capable of improvisations and improbable twists without a net. To be convinced you must see him with poetic cabaret-rock band Laura et son tâs d’âme and big bands the Grizzly and Fines Polettes. 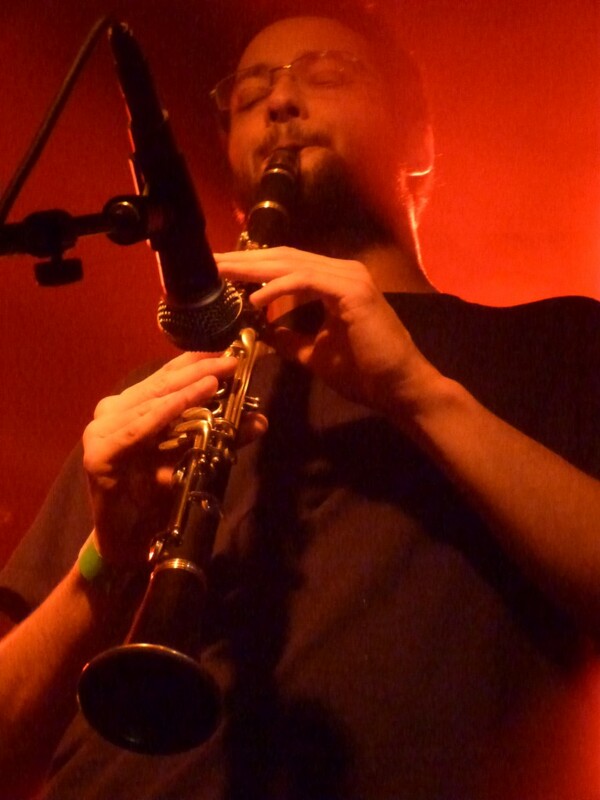 Julien Boelaert – clarinet, backing vocals. French-Dutch musician, Julien’s main influences are the classics of jazz and reggae. For him eclecticism is a must and humor a priesthood. Those who liked the tenor tone of his voice and his saxophone in reggae band Loading Zone will love him in LOCA TANGATA. Do not miss Julien playing with Swing Gum, nor Julien Bob and the Sponges (swing jazz). 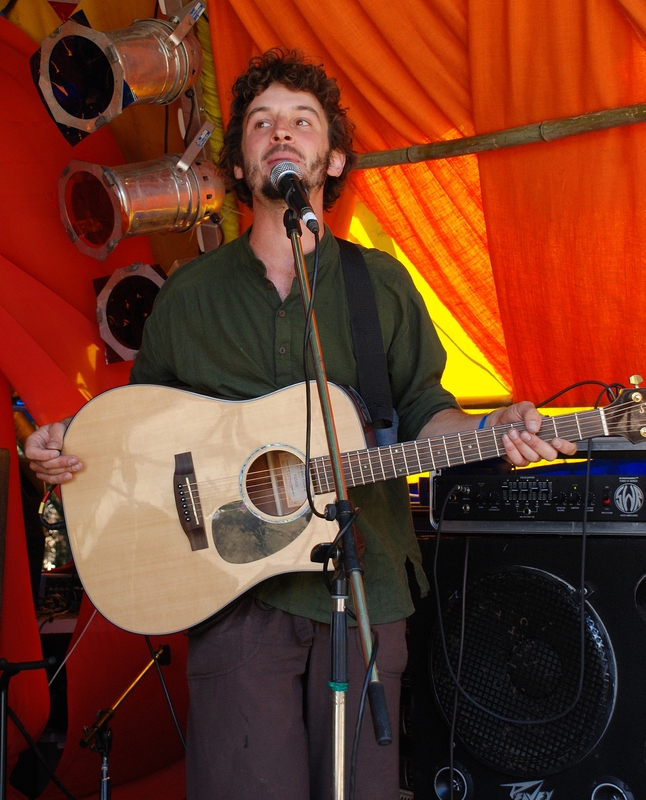 Paul Winling –guitar, vocals. 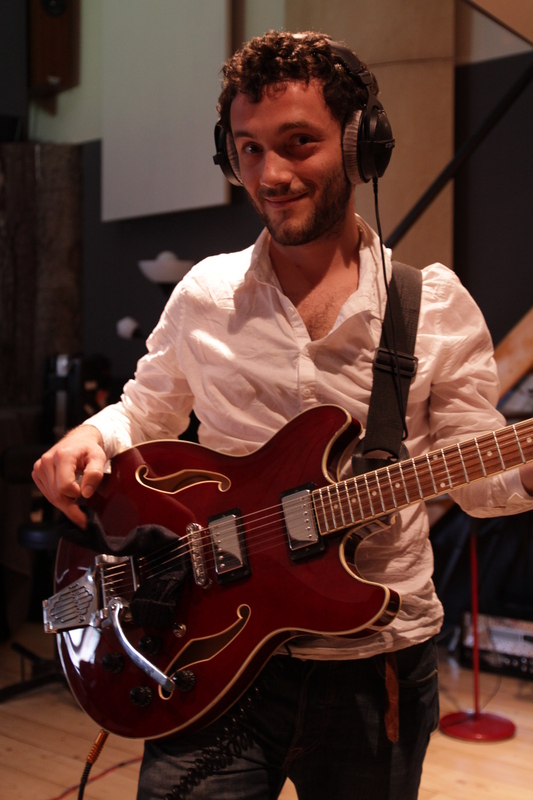 Talented guitarist and warm baritonist, Paul is above all a craftsman of sound. This earned him being named director of the first EP LOCA TANGATA. 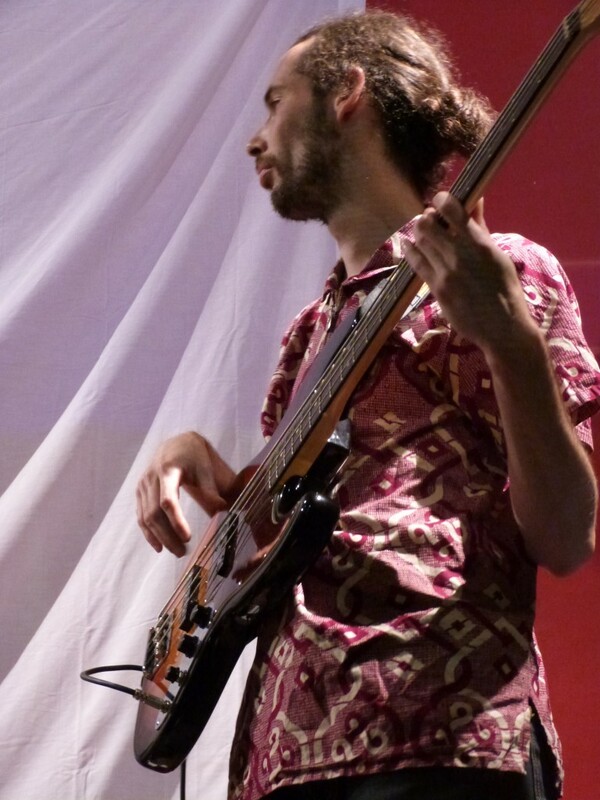 In a former life he played with Jean, Clemence and Julien in the big band reggae Loading Zone.